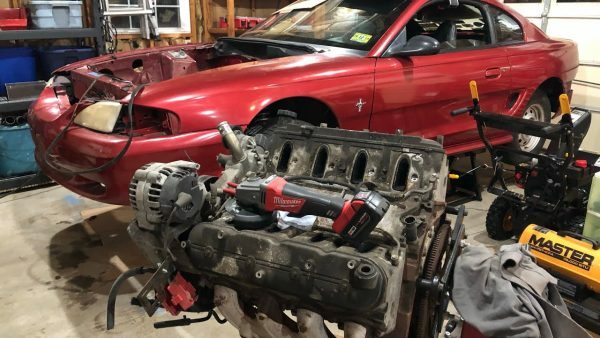 Matt Happel from Sloppy Mechanics is back with an update on his 8-second Mustang for $8,000 project. In the previous video Matt explains the basics of the project which include a 1995 Mustang GT with some racing parts already installed. Matt will install a turbocharged 4.8 L LSx V8 that will make 650-700 horsepower. Listen as Matt explains in more detail how he plans on reaching the 8’s in the Mustang.